I love your site! We will be traveling to Spain (Madrid, Oviedo) and Paris in April with our 14 month old and your site has been very helpful in preparing us. I was wondering if you had any insight on the availability and taste of whole milk in those countries versus what we are used to here in the U.S. Thanks for any information you can send me! In both Paris and in Spain milk is typically sold in ultrapasturized (UHT), shelf stable boxes (similar to the Horizon Organic shelf stable milk sold in many health food stores). 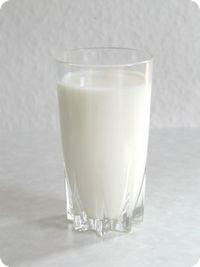 Whilte shelf stable milk is perfectly safe (and great for daytrips), it does not taste the same as fresh milk. Some toddlers reject it because of the different flavor. Luckily you can find fresh milk in better grocery stores and at McDonalds or Starbucks. In Madrid we shopped a lot at the Cortes Ingles supermarket. Fresh milk was almost always available and we occasionally found organic fresh milk too. When shopping at neighborhood grocery stores in Spain (and especially in hot weather), be sure to check the expiration date before purchasing fresh milk. If you find yourself in a pinch and cannot get any fresh milk, try adding a little chocolate milk mix. The chocolate will mask the flavor difference somewhat and your toddler will likely be so excited about the treat that they'll decide to go along with you. You can find chocolate milk mix almost anywhere in Spain or France. Julie on April 21, 2011 at 7:47 a.m.
Hello! Im a mother of two currently living in Spain (Canary Islands)... I think the milk in Spain hasnt a very different taste. While the UHt from the typical "super mercados" isn't that great, you can always try the organic fresh one.. That's what I get anyway, when visiting mainland and my girls don't complain.. Here in Canary Islands there arent any cows so... the most fresh thing you can get hold of is goats milk.